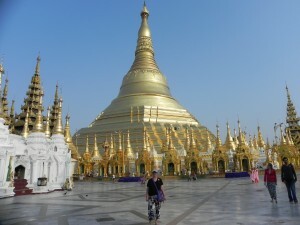 I developed a strong fascination with the country of Myanmar when I made my first visit to the “Land of the Golden Pagoda” in April 2011 during my Round the World (RTW) trip. Many people ask me…where is Myanmar anyway? My answer: well, you may know it as Burma, it is in Southeast Asia, and it shares borders with Bangladesh, India, China, Laos and Thailand. I had first become familiar with the country and what it had been through when I read Aung San Suu Kyi’s book, Freedom From Fear and Other Writings, in 1991. I became even more aware of the country in the late 1990’s when I made a friend on my travels through Vietnam who had been working on humanitarian projects in Myanmar. 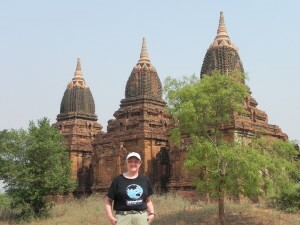 So when I was planning my RTW trip, I was drawn to make a stop there to see the country first hand. What I found was that despite its long history of oppression (from monarchies, British colonization, a short rule by the Japanese and more recently a military government), the people were extremely friendly and welcoming. Even so, I was disheartened by the oppression and isolation that they have been experiencing for so long. During my first visit, Thein Sein was sworn in as President, and it appeared to be a “non-event”, with people indicating to me that they did not see his “appointment” to represent any change to the military-ruled government they had been living under since 1962. So I was somewhat surprised when President Thein Sein reached out to Aung San Suu Kyi just four months later, resulting in her release from house arrest and the release of some of the other political prisoners. In November 2011, it was announced that her party would be rejoining the political process and that she and others from her party would be running for parliament in the election to be held in early 2012. Her party won all of the available seats (although they still represent a minority of the seats in parliament). On my next trip to Myanmar, coincidentally, the new members of parliament were sworn in. The country was abuzz with the promise of the one they called “The Lady.” Since then, many reforms have been announced, attempts have been made to abolish censorship, more political prisoners have been released and names were removed from their “black list” (including previous U.S. Secretary of State, Madeleine Albright). As a result of their attempts to put forth and implement a reform agenda, President Barack Obama recently became the first sitting U.S. President to visit the country to encourage the government to continue along its path to reform. I watch these developments with much interest, but I also recognize that only slight progress has been made. Myanmar has a long way to go to achieve a true transition to democracy. There are many challenges ahead with a government that continues to be controlled by a military regime; not all human rights abuses have been discontinued; armed conflicts are still underway in the northern and western states of Kachin and Rakhine; and just last week it was reported that there was a violent crackdown of environmental protestors at a copper mine. For many of the people of Myanmar (Burma? ), changes are still a world away. But I remain cautiously optimistic that efforts are being made and have hope that the quiet patience of the democratic party will continue to play a part in moving the country’s reform efforts forward. But what about the title of my article? What is it about the name anyway? It’s much more complicated than I had thought. On that first trip there, everyone I asked, even those who did not support the military government, seemed to prefer the name “Myanmar.” Why? Many of them felt that “Burma” was the English name for the country, representing for them the oppressive era they experienced under British rule. 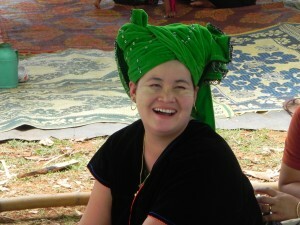 Others felt that it was only indicative of one of their ethnic groups (the Burmese), and even though they represent the majority, there are many other ethnic groups throughout the country. Those I spoke with in the countryside indicated a desire for all ethnic groups to be embraced by the country and made to feel included. So I was surprised when I read that Aung San Suu Kyi indicated that she preferred the name “Burma.” I became aware that the opposition to the current name resulted when the military government made the change to “Myanmar” at a time when they were detaining many political prisoners and violently suppressing any opposition to their regime, and so that name also represents “oppression” to many. So what should it be—Myanmar or Burma? In President Obama’s remarks, he played it safe by referring to the country by both names. The country will eventually need to decide for itself, but meanwhile there are plenty of more important challenges for them to address as they hopefully stay on the road to a form of government that will work for all of its people. 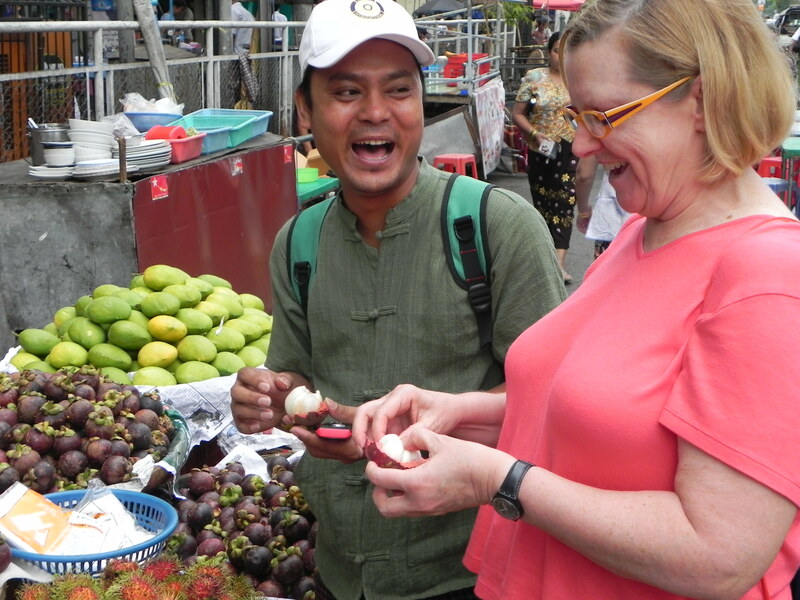 I look forward to returning once again to continue to explore the wonderful countryside and enjoy the hospitality of the people in what was once the richest country in Asia, and is hopefully on its way to renewal and rebirth. 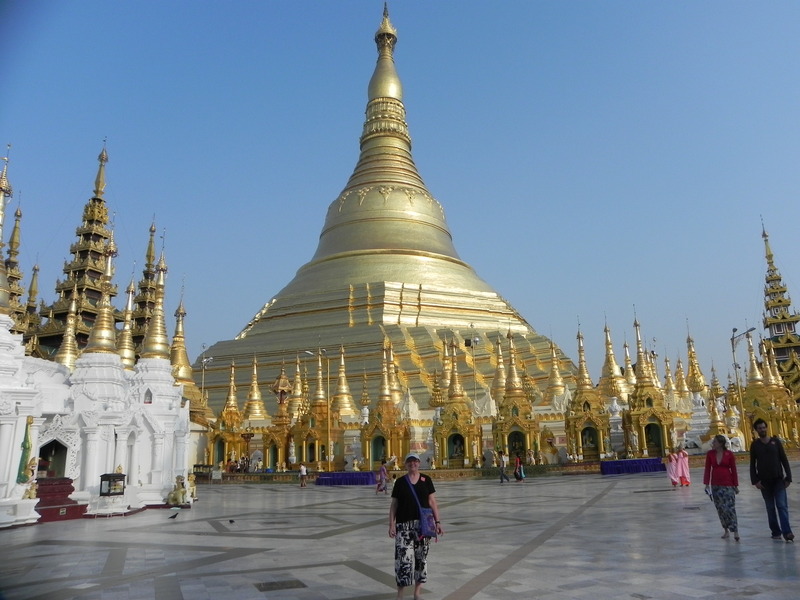 Come Explore Myanmar with me!